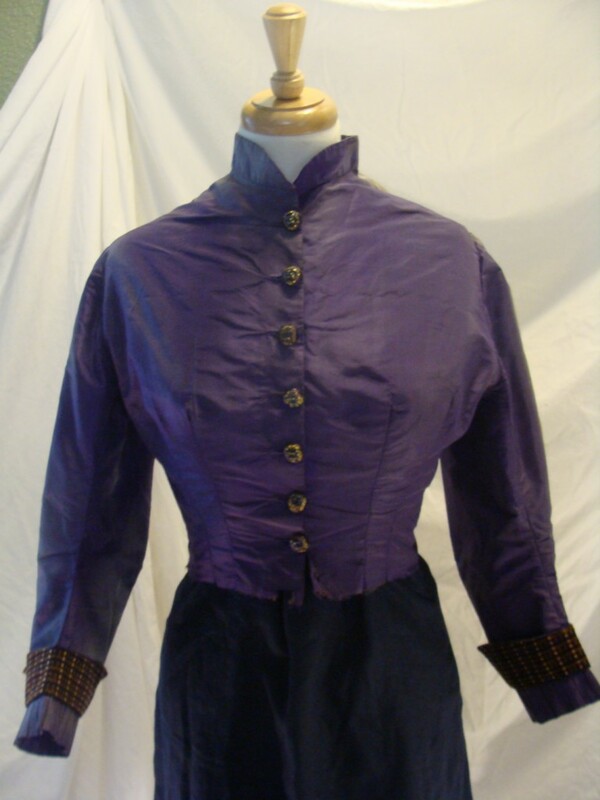 This blouse is a beautiful example of Ladies' Victorian- era clothing! 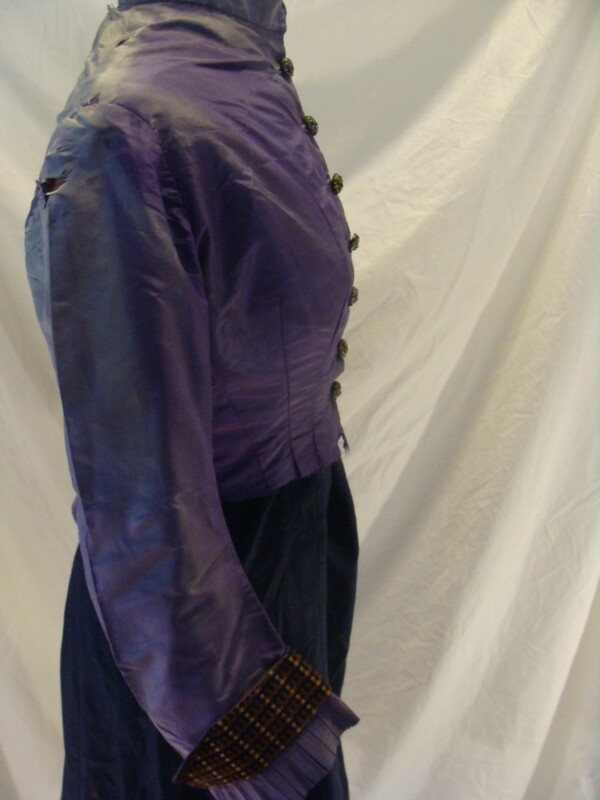 It is made from royal blue silk, and I purchased it from the same estate as the other Victorian and Edwardian-era clothing and accessory items I currently have up for auction. 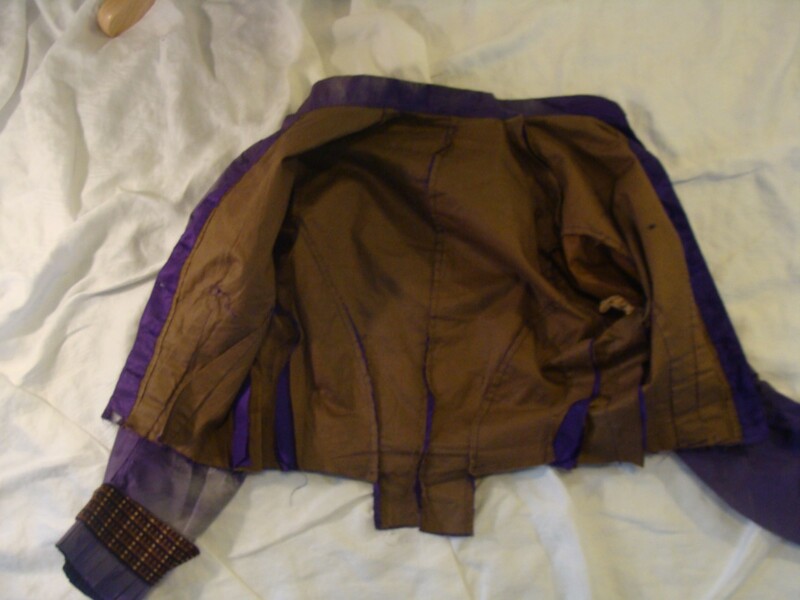 It is not in wearable condition. 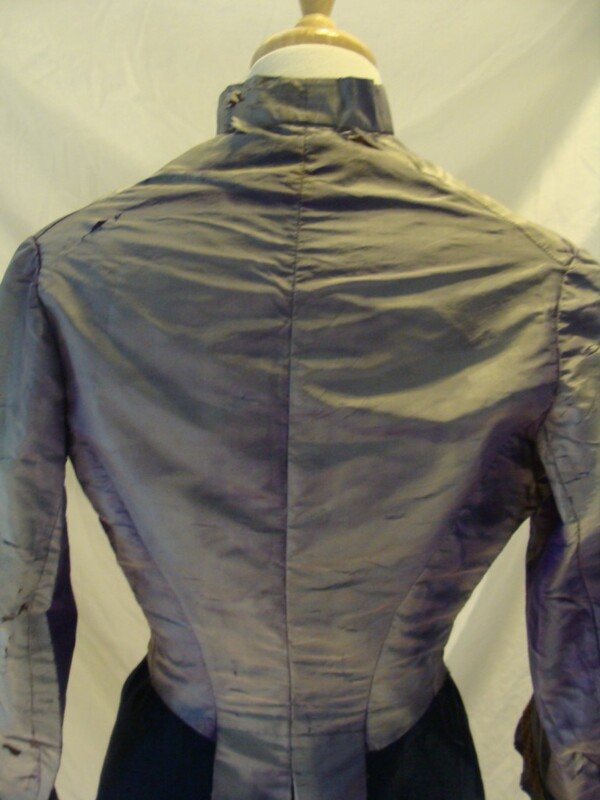 It does fit my mannequin, who is approximately a size 8. 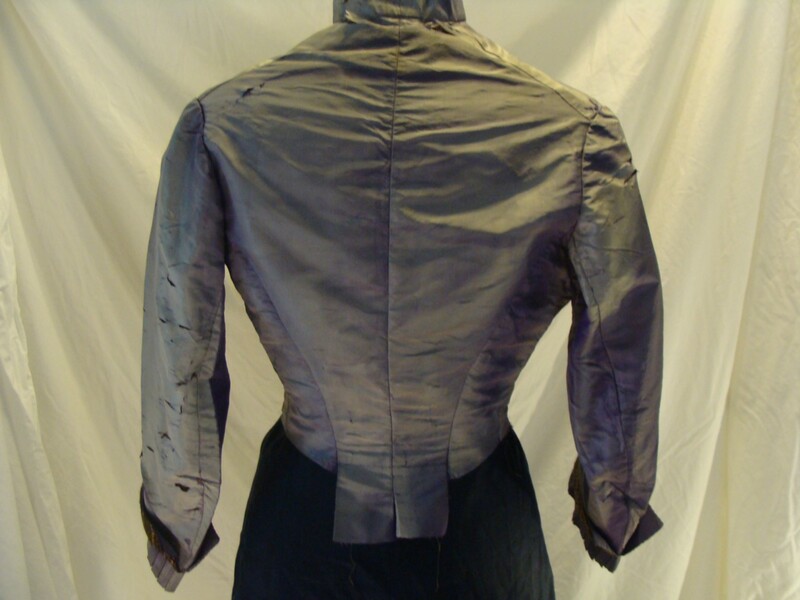 The front is in great condition, but the blouse was displayed in a nook with a skylight for many years, so the back is terribly bleached out to a dull gray-blue, and has many splits. Perhaps it could be restored or simply displayed in a shadow box, and then you wouldn't see the back. 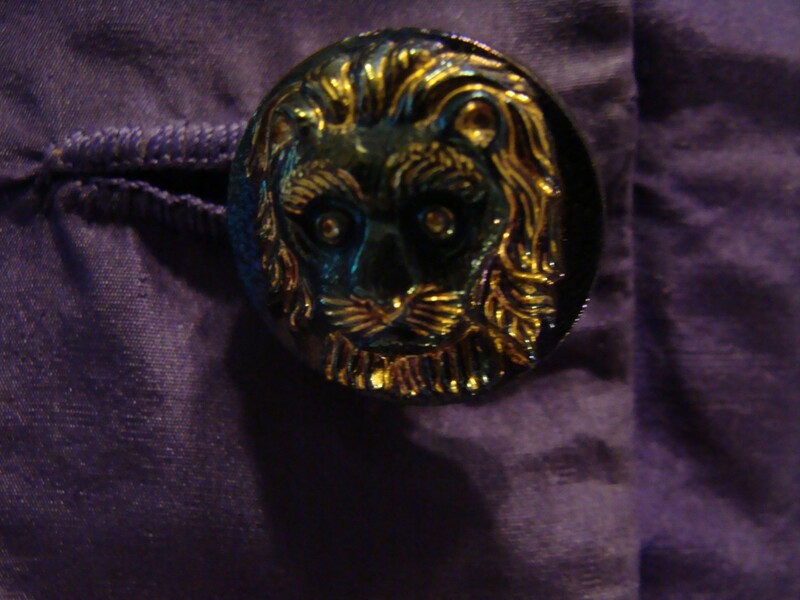 The most unique and lovely feature of this garment is the original glass lion's head buttons, which have a carnival glass like lustre to them. They also have gold china paint highlights throughout. I have a few Victorian and Edwardian era items and accessories up for auction right now. Please take a look at all the pics & feel free to ask any questions.